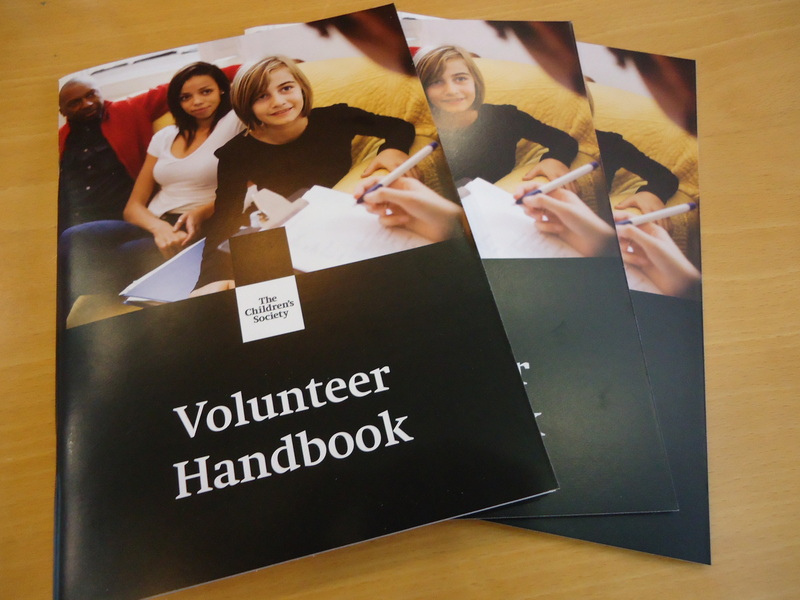 How can we improve our volunteering programme at The Children’s Society? 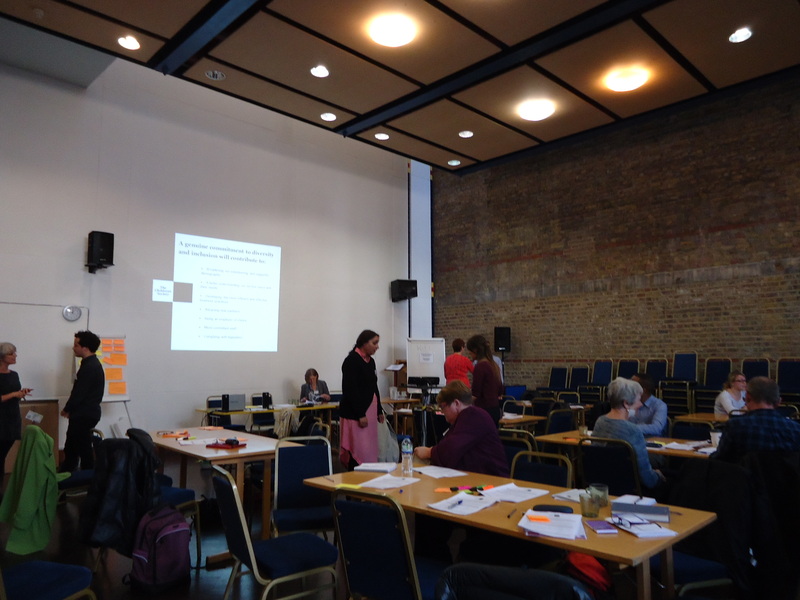 A couple of weeks ago myself and two of our volunteers, Hilary and Rod, went to find some answers to that very question when we attended a volunteering forum at the St Alban’s Centre in London. I’d been to a previous volunteering forum in Birmingham in March. 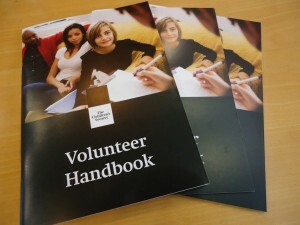 These events are a chance for volunteers and volunteer managers from across The Children’s Society to get together and share ideas on how to make our volunteering programme better. The theme for October’s volunteering forum was “Embracing Diversity and Inclusion”. We spent the day discussing how we can embed diversity and inclusion into our volunteer programme here at The Children’s Society. This means working out what barriers there might be that prevent people from volunteering with us and finding ways to remove those barriers. What we’re striving for is to have a diverse range of people volunteering for The Children’s Society, with all the skills, experiences and insights that they can bring with them. Not only that, we want our organisation to reflect society as a whole and the children we work with so that we’re able to do the best we can to help those children. It was a packed day. First we heard from The Children’s Society’s Volunteering Team who explained what we’re doing now, how diverse our volunteer base is and where we need to improve. Then we heard from a panel of guest speakers from different charities and organisations across the country, who talked to us about what they are all doing to improve diversity and inclusion. We picked up lots of ideas from the panel, ranging from making it as easy as possible for volunteers to get their expenses reimbursed, to providing different ways for people to apply to volunteer roles so that they can choose the way that is easiest for them. After lunch we heard a talk about unconscious bias: the ways in which we can be biased for or against certain things without even knowing it. We learnt about the different ways we can be biased, whether that’s by our own expectations and stereotypes or through being influenced by the opinions of others. It was sobering and thought-provoking stuff, but really fascinating as well. Thankfully we were shown how to avoid being swayed by our biases. One way is to avoid making important decisions when there’s little time or when you’re tired and stressed, as these situations are when you can be most influenced by your biases. Another way is to find out what biases you have; that way you can make an extra effort to not be swayed by them. To help with this last one, we were told about the Harvard bias tests which you can take to discover what unconscious biases you may have. Warning: the results of these tests can be surprising, as you may be more biased than you think! Finally, the last part of the day was a group session where we discussed the different things we could do to embed diversity and inclusion within volunteering at The Children’s Society. This was a really productive session and there were lots of ideas and actions to take away. Overall, it was a really interesting day. 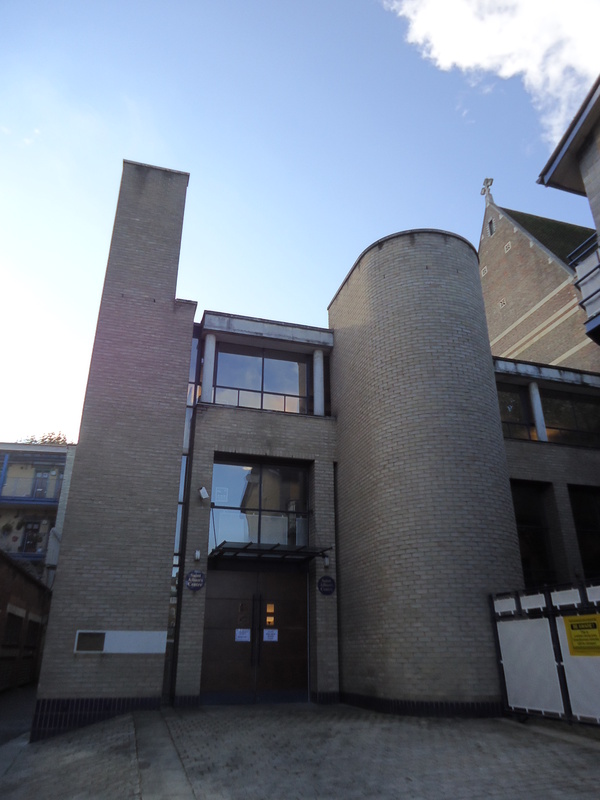 There was a lot of food for thought, and I certainly have some ideas for how we can improve the volunteer experience here at The Children’s Society Archive. Want to get involved? If you’re thinking about volunteering with us at The Children’s Society, take a look at our volunteering pages to see our current volunteer opportunities. This entry was posted in Archive stories and tagged Volunteers by Janine Stanford. Bookmark the permalink.